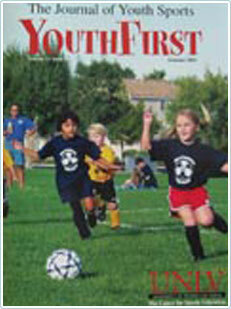 YouthFirst is dedicated to enhancing the sport experience for young athletes, their parents and their coaches. YouthFirst was developed to provide practical suggestions and training to help everyone truly enjoy the youth sport experience. There is a YouthFirst Parent/Coach Training Program that all sport leagues should encourage if not require every parent and coach to undertake. This program offers insights to the dynamics of youth sports and provides proven (researched and studied) strategies that immediately change the atmosphere into one that is positive and FUN for everyone. This website hosts thousands of newsletters to help athletes, parents and coaches become better participants. The major goal of YouthFirst is to create community atmospheres where youth sports is a FUN and positive experience that encourages young children and teenagers to enjoy leisure activity, learn and improve their sport skills and to advance upwards in competition as they are prepared. Everyone is encouraged to use this website and its resources as a guide to enhancing the youth sport experience.